Join MedCity and Newable Private Investing (NPI) at our Entrepreneur Pitching Event on Thursday 11th April 2019 at The Francis Crick Institute, as part of the Angels in MedCity initiative. This event offers business angels an opportunity to meet and invest in healthcare and life sciences start-ups. You will hear from a cohort of high-growth companies in 10 minute pitches and investors will then have the opportunity for 5 minutes of Q&A after each pitch. The company presentations will be followed by drinks and canapés, allowing you to mingle with the entrepreneurs, like-minded investors and the MedCity and Newable Private Investing team. The company selection is a competitive process and applications have been assessed by a panel of life sciences investment experts. A brochure with information on each pitching company will be available at the event. The pitching event will commence from 17.30 and finish at 19.45, with drinks and canapes until 20.45. If you would like to register please contact: jnevesdosreis@medcityhq.com. 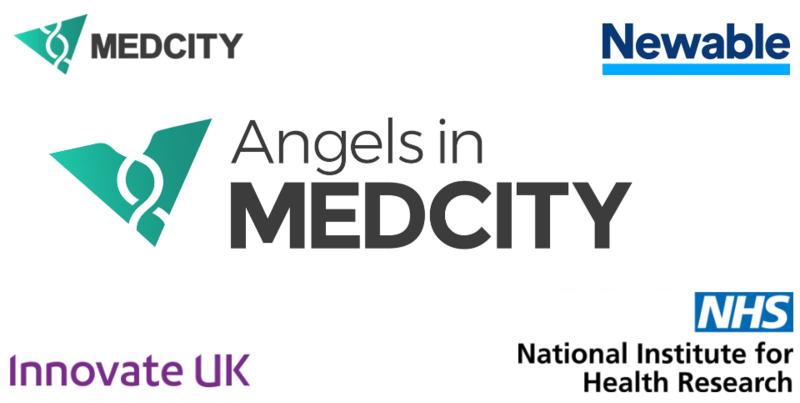 MedCity and Newable Private Investing in collaboration with Innovate UK and National Institute for Health Research (NIHR) Invention for Innovation (i4i) would like to invite you to the Angels in MedCity 11th Entrepreneur Pitching Event on the 27th February 2019. This special event will offer business angels the chance to meet and invest in eight MedTech, digital health and diagnostics start-ups from the Innovate UK and NIHR i4i portfolios. The event will include direct pitching and showcasing to investors, with opportunities to meet with each company. The company selection is a competitive process and applications will be assessed by a panel of experts including those from Innovate UK and NIHR. You will also have the opportunity to find out about the Innovate UK and NIHR i4i work supporting the MedTech, digital health and diagnostics space. The pitching event will commence from 16.00 and finish at 19:00, with drinks and canapés until 20:00. If you would like to register please email: jnevesdosreis@medcityhq.com. 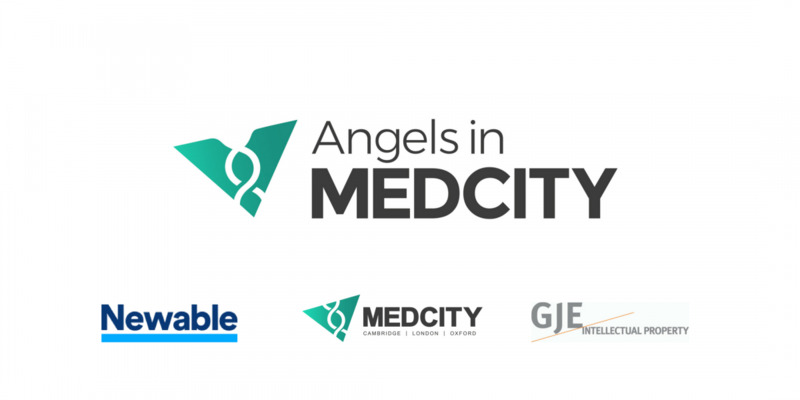 Angels in MedCity is hosting its 10th Entrepreneur Pitching Event on 25 October 2018, offering business angels the chance to meet and invest in six - eight healthcare and life sciences start-ups. The event will include direct pitching and showcasing to investors, with opportunities to meet with each company. The company selection is a competitive process and applications have been assessed by a panel of experts. A brochure featuring the pitching companies will be available at the event and blind summaries will be sent out prior to the event. Registration: Please email jnevesdosreis@medcityhq.com or kaivan.faria@newable.co.uk. Angels in MedCity is hosting the next Entrepreneur Pitching Event, offering business angels the chance to meet and invest in six healthcare and life sciences start-ups, on 24 April 2018. The event will include direct pitching and showcasing to investors, with opportunities to meet and interact with each presenting company. Each presenting company has gone through a competitive assessment process by our panel of experts. Angels in MedCity investor workshops aim to give potential angel investors who have a particular interest in medical and life sciences based opportunities the information to be able to make these investments. The workshop will be held in the City of London at Newable, one of the Capitals leading debt providers. This workshop will explore the convergence of innovations that have disrupted life sciences. We have recently seen a rapid proliferation of fast moving innovations that have disrupted traditional industries, examples such as the use of Artificial Intelligence within precision medicine and patient stratification spring to mind, but in reality the convergence of information technology and life sciences have created fast evolving and exciting industry verticals. Please note: This is an event targeted at an audience of people wanting to become investors or learn more about investing in life sciences. Angels in MedCity is hosting the next Entrepreneur Pitching Event, offering business angels the chance to meet and invest in six healthcare and life sciences start-ups, on 15 November 2017. Registration: Please contact Yann Moulary, Network Manager at Newable on yann.m@angelcapital.co.uk. Angels in MedCity investor workshops aim to give potential angel investors who have a particular interest in medical and life sciences based opportunities the information to be able to make these investments. The AiMC initiative is a partnership between Angels4LifeSciences, London Business Angels and MedCity. The workshop will be held in the City of London at Newable, one of the Capitals leading debt providers, and aims to deliver an understanding of angel investing from initial due-diligence to realising liquidity. The workshop will cover the developments and opportunities in the life sciences/medical angel market, how to take advantage of the SEIS/EIS schemes, the importance of patent protections, key considerations for investing in an early stage business and potential exit opportunities within Medtech/Lifesciences. The workshop is aimed at individuals who would like to move forward to become an angel investor in life science and medical opportunities. A pitching event subsequent to this workshop will be held in Autumn (date tbc) to offer an opportunity to meet and invest in six carefully selected healthcare and life sciences start-ups and early stage businesses. MedCity in conjunction with Penningtons Manches would like to invite you to an information evening about the Angels in MedCity initiative. The event will include talks to learn about the UK's angel investing landscape, hear first-hand experience from entrepreneurs and investors, and an overview of our activities, including opportunities for both investors and companies seeking investment. Please note: this is an event targeted at a specialist audience. We reserve the right to reject requests to attend from people not directly invited by the organisers.